Sydney This subcategory is to discuss setting up TTN in Sydney, Australia!<br> You can discuss team related matters, Sydney specific problems and <br>technical issues. London This subcategory is to discuss setting up TTN in London, United Kingdom! You can discuss gathering a team, London specific problems and technical issues. Kochi This subcategory is to discuss setting up TTN in Kochi, India!<br> You can discuss team related matters, Kochi specific problems and <br>technical issues. Buenos Aires This subcategory is to discuss setting up TTN in Buenos Aires, Argentina! You can discuss gathering a team, Buenos Aires specific problems and technical issues. Montpellier A subcategory to discuss all matters around the Montpellier community. (Please keep this category in English) Singapore This subcategory is to discuss setting up TTN in Singapore! You can discuss gathering a team, Singapore specific problems and technical issues. Zurich This thread is created to set up the team. Discuss how to get things started initially in Zurich. Gent This subcategory is to discuss setting up TTN in Gent, Belgium! You can discuss gathering a team, Gent specific problems and technical issues. Kathmandu This subcategory is to discuss setting up TTN in Kathmandu, Nepal! You can discuss gathering a team, Kathmandu specific problems and technical issues. Martha's Vineyard This subcategory is to discuss setting up TTN in Martha's Vineyard, Massachusetts!<br> You can discuss team related matters, Martha's Vineyard, specific problems and <br>technical issues. Albania This subcategory is to discuss setting up TTN in Albania!<br> You can discuss team related matters, Albina specific problems and <br>technical issues. Geleen This subcategory is to discuss setting up TTN in Geleen, Netherlands<br> You can discuss team related matters, Geleen specific problems and <br>technical issues. Blois This subcategory is to discuss setting up TTN in Blois, France! You can discuss gathering a team, Blois specific problems and technical issues. Tel Aviv This subcategory is to discuss setting up TTN in Tel Aviv, Israel! You can discuss gathering a team, Tel Aviv specific problems and technical issues. Den Haag This subcategory is to discuss setting up TTN in The Hague, The Netherlands!<br> You can discuss team related matters, The Hague specific problems and <br>technical issues. Milan This thread is started to keep track of the team building in Milan. Rotterdam city and port This subcategory is to discuss setting up TTN in Rotterdam, Netherlands! You can discuss gathering a team, Rotterdam specific problems and technical issues. Poznan This subcategory is to discuss setting up TTN in Poznan, Poland. You can discuss gathering a team, Poznan specific problems and technical issues. Helsinki This subcategory is to discuss setting up TTN in Helsinki, Finland! You can discuss gathering a team, Helsinki specific problems and technical issues. Alkmaar This category is intended for all discussions with regards to the Alkmaar network and campaign. Delft A Forum category to discuss The Things Network in and around Delft. Almelo This category is intended for all discussions with regards to the Almelo network and campaign. Flevoland This subcategory is to discuss setting up TTN in Flevoland, The Netherlands! You can discuss MeetUp's, (new) projects, Flevoland specific problems and technical issues. Utrecht This subcategory is to discuss setting up TTN in Utrecht, the Netherlands! You can discuss gathering a team, Utrecht specific problems and technical issues. Leiden A category to discuss everything that relates to The Things Network in and around Leiden. Bangalore This thread is intended for the team building of Bangalore TTN. Calderdale Discussions about anything related to The Things Network Calderdale Paris This subcategory is to discuss setting up TTN in Paris, France! You can discuss gathering a team, Paris specific problems and technical issues. Boston This subcategory is to discuss setting up TTN in Boston, Massachusetts! You can discuss gathering a team, Boston specific problems and technical issues. Groningen This subcategory is to discuss setting up TTN in Groningen, Netherlands! You can discuss gathering a team, Groningen specific problems and technical issues. Amsterdam This category is intended for all discussions with regards to the Amsterdam network and campaign Barcelona This thread has the goal for the people from Barcelona interested to start their team. Manchester This subcategory is to discuss setting up TTN in Manchester, United Kingdom. You can discuss gathering a team, Manchester specific problems and technical issues. São Paulo This subcategory is to discuss setting up TTN in São Paulo, Brazil! You can discuss gathering a team, São Paulo specific problems and technical issues. Eindhoven This subcategory is to discuss setting up TTN in Eindhoven, the Netherlands You can discuss gathering a team, Eindhoven specific problems and technical issues. Malaysia This subcategory is to discuss setting up TTN in Malaysia! You can discuss gathering a team, Malaysia specific problems and technical issues. Montreal This subcategory is to discuss setting up TTN in Montreal, Canada. You can discuss gathering a team, Montreal specific problems and technical issues. Enschede This subcategory is to discuss setting up TTN in Enschede, The Netherlands. You can discuss gathering a team, Enschede specific problems and technical issues. Campaign pages Here you can share all your questions, feedback and input on the campaign pages (e.g. 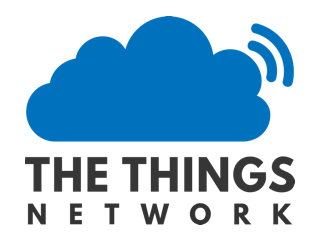 <a href="http://thethingsnetwork.org/c/amsterdam">http://thethingsnetwork.org/c/amsterdam</a>) Find people from your city or area Sometimes we different from the same city/area want to set up TTN in their region. Here these people can meet.